What are the seeds of regeneration and how do you get to those seeds to grow into thriving cities? In Urban Planning those seeds are not limited to the architects, engineers, agencies, and planning groups – the input and ideas of inhabitants are as important to a city’s prosperity and success. The Metropolitan Area Planning Council (MAPC) is taking a unique approach to engage residents in the planning of their own neighborhoods with an artist-in-residence program. The goal of this program is to bring arts, culture and creativity into the agency’s multidisciplinary planning work. We’re excited to see that the first artist was Carolyn Lewenberg, a Studio G friend with whom collaborated on a pro bono community park project. As advocates for community engagement, we are excited about the potential for art to engage stakeholders and generate excitement around all civic issues. Our experience shows that bringing as many diverse voices to each project strengthens the design. What do you think about this uncommon approach? Share your thoughts in the comments below! 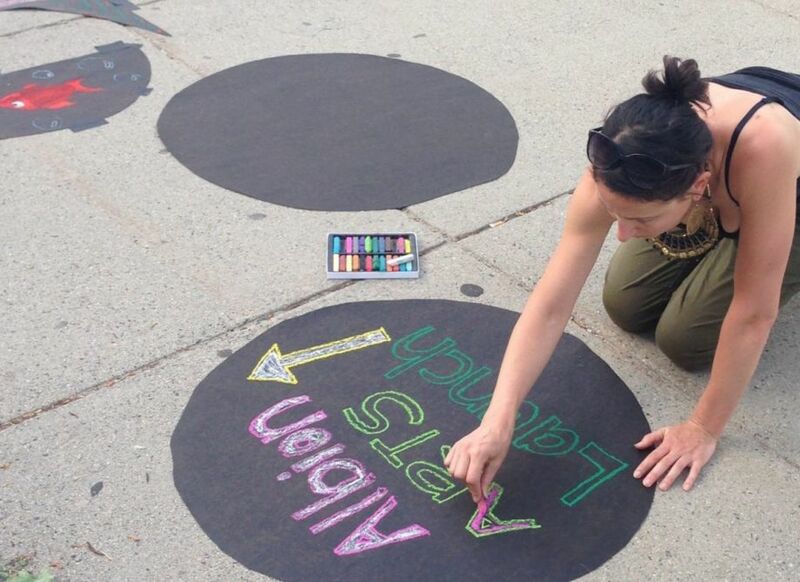 To learn more about MAPC’s Art & Culture Department, you can read this article on Next City https://nextcity.org/daily/entry/metro-boston-to-get-more-creative-with-city-planning.